Over the past decade or so it has become clear that the great majority of biospecimens stored in the world’s biorepositories may not be suited for the state-of-the-art genomics, proteomics, metabolomics and other bioanalytical technologies used today to search for cancer-related biomarkers. The irreproducibility of many reported biomarkers is due at least in part to the fact that the biospecimens utilized are often procured using different collection, processing and storage techniques. 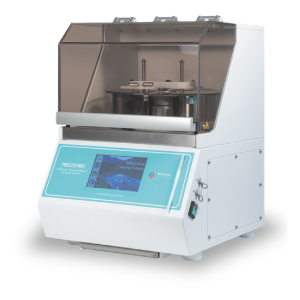 To overcome some of these difficulties, Milestone has developed the FlashFREEZE unit to standardize the flash freezing processing step of biospecimens. 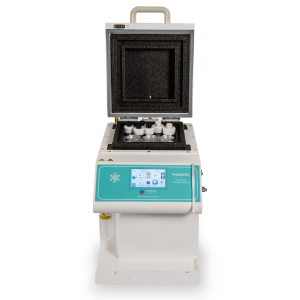 With FlashFREEZE, it is now possible to carry out evidence-based freezing protocols on biospecimens with the full documentation needed for QA purposes. Standardized freezing at -80°C for all types of tissues. It vials with a volume of up to 50ml. Suitable for freezing 24/48/96 well plates or random biospecimens. It takes only 1 hour and 40 minutes to go from room temperature to the operating temperature of -80°C. 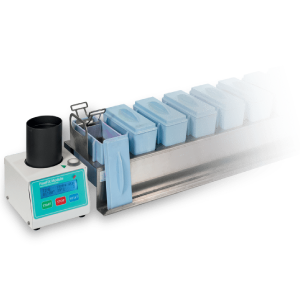 Biospecimens are frozen in only 60-150 seconds. HEPA cap filter is provided. The Advanced Stirling Cooler technology uses Helium gas as a refrigerant in a sealed stainless steel chamber. There is no standard compressor, therefore, no CFC (Chlorofluorocarbon). 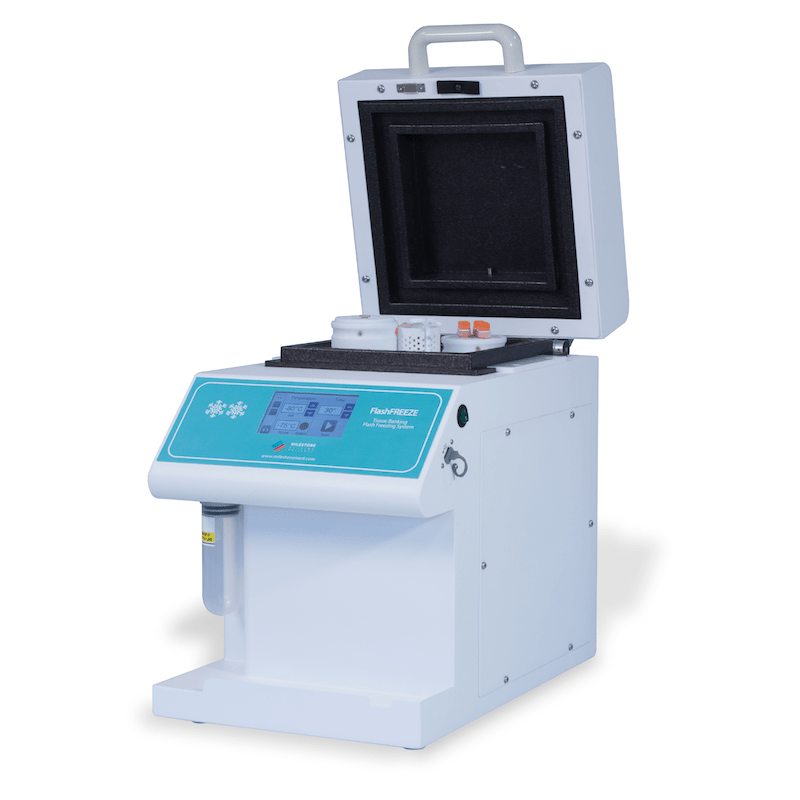 Its small footprint is suitable for space restricted lab environments.